These single sided business cards were printed in bright orange and green on 110lb Cranes Lettra in Florescent White. The overlaying of the two colors to create depth is my favorite park of the card. 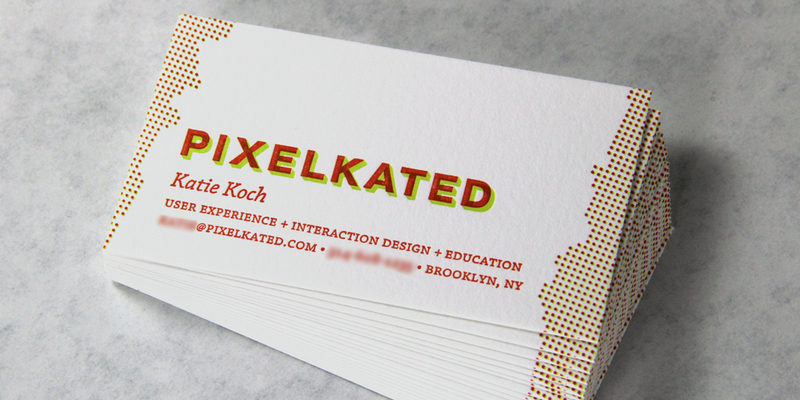 The cards were designed by Katie Koch.